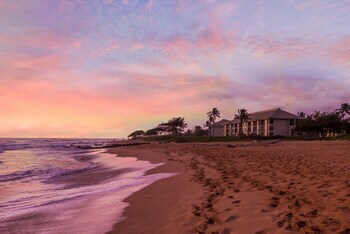 Situated near the airport, this motel is 1.9 mi (3.1 km) from Kalapaki Beach and within 32 mi (52 km) of Poipu Beach and Hanalei Bay. This was a great place to stay exceeded my expectations above and beyond. Plenty of room for me and my girlfriend easy to access the freeway. Now that was an issue, very noisy and I am not kidding or over exaggerating. Not only is the freeway right outside, there is a freight harbor right across the street with many, many and I mean many semi trucks coming and going all day. Not notice able until you are woken up by them. Most of the time you are out doing things so not that big of an issue. Over all grate place to sleep and full kitchen to make meals just bring your own pepper. 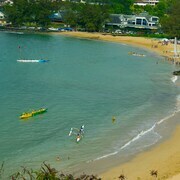 Would stay there again. We stayed for 6 nights and have no complaints! The view was awesome, friendly staff and our condo had everything we needed! Where to find Lihue hotels near an airport? 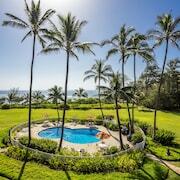 How can I find hotels in different Lihue neighborhoods? Where can I find hotels in Lihue that are near tourist attractions? 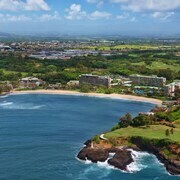 Expedia.ca offers a selection of 292 hotels in Lihue. You are sure to find cheap deals and discount rates among them with our Best Price Guarantee. No matter what type of hotel strikes your fancy, we will let you search for your preferred one to accommodate your travel needs. 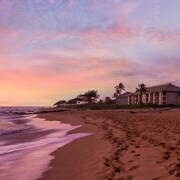 Expedia.ca will not only save you time, but also money when booking your stay at a hotel in Lihue. Making reservations so you can stay within your budget is easy with us. Expedia.ca even provides you with a map so you may find hotels in the Lihue neighborhood you prefer. Go ahead. 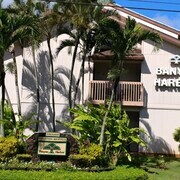 Enter your travel dates to view the best offers on hotel rooms in Lihue, Hawaii now! 4 Beachfront Luxury Resort, Room With Ocean/pool View ! 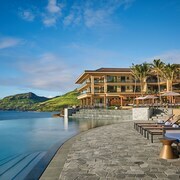 Are there hotels in other cities near Lihue? 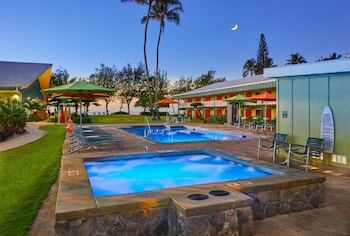 What other types of accommodations are available in Lihue? 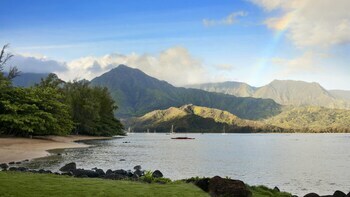 Explore Lihue with Expedia.ca’s Travel Guides to find the best flights, cars, holiday packages and more!